COLUMBUS, Ohio — Ramona Isbell is worried. What will people say when they find out? After all, she mostly kept her secret for more than 50 years. The practices. The out-of-town — and out-of-country — travel. Her role as a hidden figure in a lesser-known aspect of integration brought on by the civil rights movement. Her life as one of the country’s first black female professional wrestlers. “I liked the freedom, I liked the money, I liked the travel, and I had fun,” Isbell said. A new documentary explores the role of black women recruited as professional wrestlers in the 1950s and 1960s. Columbus was an epicenter for the female wrestlers thanks to promoter Billy Wolfe. 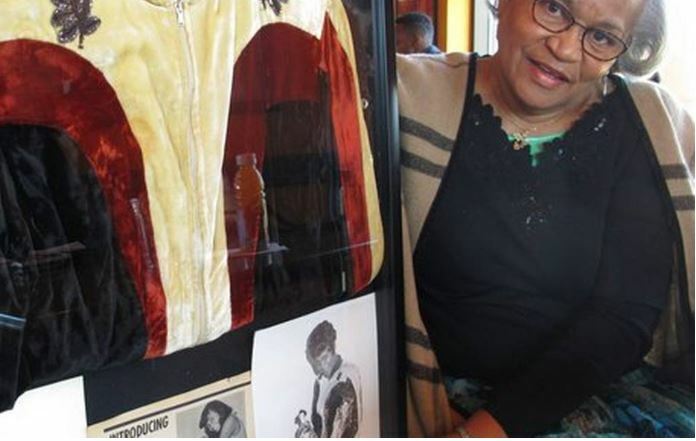 “Lady Wrestler: The Amazing, Untold Story of African-American Women in the Ring” debuts Thursday at Ohio State University’s Wexner Center for the Arts. Filmmaker Chris Bournea said people like Isbell wrestled not only before women were deemed capable of athletic accomplishments but before blacks had civil rights in many places. They also didn’t talk a lot about what they did, perhaps concerned about others’ reactions. And when they were finished, they wanted to move on with their lives. Bournea, who is black, grew up in Columbus without ever hearing the stories. After he learned of them as a journalist about a decade ago, he knew he had to do something. “Awareness needed to be brought to these women’s accomplishments,” Bournea said. The driving force behind their recruitment was Wolfe, a former wrestler and trainer, who was white. A gambler, cigar smoker and womanizer, he was a classic American hustler, said Jeff Leen, a Washington Post reporter whose 2009 book on Wolfe’s wife, wrestler Mildred Burke, “The Queen of the Ring” offers a comprehensive history of the early years of women’s professional wrestling. Whatever else he was, though, Wolfe wasn’t prejudiced. He also wanted real athletes, despite the staged matches, and required women to work out diligently. The matches promoted by Wolfe preceded the Gorgeous Ladies of Wrestling or GLOW syndicated TV promotion of the 1980s, now the subject of a Netflix comedy series. Bournea said he has planned screenings in other cities with large professional wrestling fan bases and will then release the film on Amazon. Isbell signed with Wolfe in Columbus in 1961 in her early 20s, one of a few dozen black women that wrestled for Wolfe, in addition to many white women. Isbell practiced three times a week, and wrestled in modified one-piece swimsuits. She appeared throughout the U.S., wrestling white women in northern cities like Detroit, and black women only in the Jim Crow South. She made anywhere from $100 to $400 a match. Isbell also saw the world, wrestling in matches in Australia, Japan and Nigeria. Along the way she raised four children, who were vaguely aware of what their mom was up to. She wrestled into the 1970s, with a final appearance in a promotion in California in the 1980s. By then she was working for the state, retiring as a purchasing agent with the Ohio Industrial Commission. Now 78, she keeps fit through yard work, walks in the park, and exercising on a treadmill in her east side Columbus home. Next month, she plans to attend an annual professional wrestling reunion in Las Vegas held by the Cauliflower Alley Club, a pro wrestling preservation society. News of her exploits is leaking out as word of the documentary grows in Columbus. But that doesn’t stop Isbell from considering people’s reaction. Andrew Welsh-Huggins can be reached on Twitter at @awhcolumbus.